The Financial Storm, Surveillance, audit and corporate governance in the NRL. The research involved examining press coverage, media blog posts and undertaking a small survey assessing public perceptions of the Melbourne Storm salary cap saga. This material is to be framed in light of the effects of new media in providing a forum for the expression of both positive and negative fan reactions to the Storm’s activities and the NRL’s official response. The broader reception of the NRL’s official report in Victorian, NSW and Queensland press sources is framed in light of the literature on salary cap processes in various Australian and overseas professional sports, and the literature on white collar crime, responsive regulation and over-criminalisation. deficits’ that often characterise the scrutiny of club affairs by League governing bodies. agencies, including corporate watchdogs, taxation officials and the police, without necessarily ensuring that deficits in internal League and club auditing procedures are adequately reformed. This argument is particularly salient in light of the more recent ‘crackdown’ on organised crime and the use of Performance and Image Enhancing Substances by the Australian Crime Commission, which reveals similar surveillance and governance deficits in the NRL’s oversight of club activities, which appear to be generating tighter and more expansive external surveillance by Australian state and federal anti-doping and law enforcement authorities. The reasons why this did not occur with the Storm’s suspect financial dealings will provide important insights into the often problematic relationship between League, club and external governance arrangements. 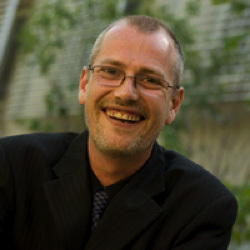 Ian Warren, Senior Lecturer in Criminology, School of History Heritage and Society at Deakin University Melbourne.